Film subsidies – or subsidies of any sort – have always been regarded by Treasury as a heretical notion. Sure, film subsidies may work in practice, but do they work in theory? In 2004, Treasury was predicting they could cost $10 million a year. By 2006, Treasury was claiming they might conceivably – okay, this was in a ‘worst case’ scenario – cost $38 million a year. Caution was advised. The Cabinet papers show the Government spent NZ$472.48 million through the Large Screen Production Grant (LBSPG) from 2004 to September 2013 to encourage spending of NZ$3.308 billion or an average of NZ$52.49 million per year. “The current regime is also estimated to have had an overall negative fiscal impact of NZ$168 million once tax revenue that would have been earned anyway is taken into account,” Treasury was quoted as saying in the Cabinet paper…. Right. Note that key phrase “that would have happened anyway”… Sorry, but this is little more than a gigantic leap of faith. You mean if we hadn’t had the Lord of the Rings trilogy, King Kong, Avatar etc etc, something like that $3.3 billion would have appeared out of the woodwork elsewhere in the New Zealand economy, by some magical means? This week, one MBIE report and two peer reviews (see below) have had the Devil’s own job in accurately measuring the counterfactual in any one year (ie the extent of economic activity if we didn‘t have the subsidy scheme) but back in 2013, there was Treasury claiming to be able to measure it with pinpoint precision (exactly negative $168 million!) over a period of nearly a decade. No doubt, some substitute activity would have occurred, sans subsidy. Yet, then as now, such figures hinge on heroic assumptions about how the wider economy (and film industry) would perform if those evil production subsidies were withdrawn. So, here we are again in 2018… and this past fortnight has seen a fresh round of mutterings that the production grants that currently underpin the New Zealand film industry are a sin against market purity that we can do, and should do, without. Besides, the subsidies can be made to look not all that rewarding, provided you tweak the economic models hard enough. It isn’t hard to spot the aspirational goal involved. On market principle, shouldn’t New Zealand go cold turkey, axe the film subsidies on offer to Hollywood studios and see what happens next? Even if, on the available evidence, what would happen next would be a smoking crater where our film industry used to be? That wouldn’t make a lot of sense, given that we simultaneously say we’re trying to foster a modern, IP-driven, value-added digital economy. For the past decade, the film industry has been one of the few success stories along that path. No doubt, scrapping the film subsidies would create a level playing field for everyone. Problem being, that field would be somewhat barren. Hey, but at least we’d finally know exactly what the elusive ‘opportunity cost’ of having the New Zealand Screen Production Grant would be. It is quite an old story. New Zealand tiptoed into the modern era of international film financing 20 years ago, when the tax arrangements honed on The Frighteners film were adapted and upscaled for the Lord of the Rings (LOTR) trilogy. Back then, the main problem for the media (and general public) was the total lack of transparency by all concerned about (a) the very existence of film tax breaks (b) their potential threat to the government’s revenue base and (c) their net benefit to the country as a whole. Pure politics lay behind the penchant for secrecy. If then Finance Minister Michael Cullen hadn’t agreed to grandfather the LOTR tax breaks, he would have been vilified for cutting a heroic local endeavour off at the knees: “It would [have been] hobbits five, politicians zero” as he once memorably put it. Yet releasing the details would have posed some additional political risks, given that the gross numbers looked so disconcertingly large. The late Jim Anderton (who had ministerial responsibility for the film industry subsidy schemes at the time) subsequently confirmed to me a speculative gross figure of $220 million for the LOTR tax package. If true, this sum would be large enough to explain why, at the time, the politicians wanted it kept under wraps. It posed a genuine dilemma for them. If unsuccessful, the film subsidies would be a political embarrassment. But if they could be shown to deliver a net benefit, everyone would want one, thereby triggering a run on the exchequer. That was an even bigger threat. Despite Treasury’s objections on principle, if the net benefit of the subsidies could be shown to be positive – thanks to the economic multipliers in play and the skills transfers, tourism benefits, industry cluster formation etc – then not only every subsequent film project but every single industry in the country would be justified in knocking on Cullen’s door and clamouring for the same friendly tax treatment. Not surprisingly then, the details of the LOTR tax breaks (and how they worked) were kept out of sight. In one court case involving LOTR investors, every detail of the action being brought was suppressed. Since then, a few things have changed for the better. For one, we now have a globally competitive film industry. Virtually from scratch, the subsidies have helped to create and sustain an ‘industry cluster’ in the grand old Harvard Business School parlance – with the subsidies involved enabling project (and job) continuity and the development of local excellence in all aspects of film production, from utilizing the best physical locations to set building, costuming, model making, crewing, motion capture, editing and post production FX. In classic industry cluster fashion, this activity has also generated spinoffs into smaller, sub-contracting film operations and IP initiatives not merely in film but in related fields like gaming, and with the potential for A.I. applications looming on the horizon. If, as recently mooted by Matt Nippert in the NZ Herald, the grant scheme involved has cost New Zealand $NZ575 million in subsidies paid out over the past eight years (my emphasis) (a) to Hollywood and (b) to “the Wellington-dominated film industry” then IMO this still looks like a real bargain. It is for instance, considerably less than the $NZ639 million we’ve just spent on the temporary refit of two of our ANZAC frigates. Also, we spent $NZ700 million over the same period purely on Sport New Zealand, as Deborah Hill Cone pointed out this week in the same newspaper, and have just allocated $NZ100 million to the next America’s Cup defence. At a rate of $70 million a year over the past eight years, the film subsidies barely exceed the $62 million annually that we spend on subsidizing high performance sport. Will those sports subsidies deliver comparable economic benefits and skills transfers? Probably not. In the meantime, if we aim to have a rational debate on the affordability question, it doesn’t help to label our current system of film grants as being a “ handout” to Hollywood studios – as if it entails money for nothing. It doesn’t. That’s because the relevant subsidies are no longer LOTR-era tax breaks, but are grants payable only after Hollywood has spent the money here on which it can (later) reclaim the partial rebate on offer. Simply put, to get 25% back, you need to have already spent 100% within the local economy i.e. it is not a handout paid before any local benefit has accrued. Crucially, if the grant wasn’t on offer, it is unlikely that the initial 100% would be spent here at all. That’s one reason why elsewhere – e.g. South Australia – there is no cap placed on the film subsidy scheme. Again, that’s because in order to qualify for the 30% grant, overseas film productions are required to spend big money in the host location via film productions that create employment in the local industry, while enhancing its industry-related skills. 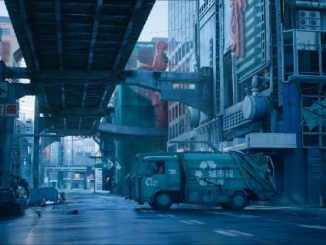 If, as reported, the four Avatar sequels are shaping up to cost $NZ1billion in all, the bulk of that money is likely to be spent here in New Zealand, while generating local jobs and keeping local FX houses at the cutting edge of competition for any subsequent post-production work from offshore. The $140 million Location Incentive Program will be delivered over four years from 2019-20 to attract large budget international productions to be filmed in Australia. It is expected to bring in over $260 million per year in new foreign expenditure to the local economy….The Location Incentive Program will effectively provide an increase to the Location Offset rate from 16.5 per cent to 30 per cent for eligible large budget international productions that film in Australia from 1 July 2018. Treasury has long sounded a note of caution that the current scheme is at best break-even for government coffers and at worst has been a fiscal drag. This cost was said in the [recent Sapere] evaluation to be outweighed, particularly for subsiding international productions which were claimed to deliver $2.39 in net economic benefits to the country for every dollar spent by government. These claims however, were sharply criticised in peer review which, using the same data, said the real figure per government dollar spent could well be 70 cents – a net drain to the economy. In fact, the Sapere Group claims were criticised (with qualifications) in one peer review and largely endorsed in another. Arguably, the drag back to “break even” for the scheme overall is not generated so much by the big Hollywood productions – which more than earn their keep – but by the subsidies to local productions, which are presumed to have cultural value apart from their economic returns, although (as the Sapere report suggests) they would, relatively speaking, be more likely to attract funding from elsewhere in this country, in the absence of the production grant. The fact we are now able to debate these matters at all is a welcome advance in transparency. Last week, MBIE released its Sapere Group report into the NZ Screen Production Grant scheme, alongside two peer reviews of the Sapere team’s methodology and findings. Those three documents are available here. I have no issues with the [Sapere] calculation of the gross additional economic benefit of $542m [ between 2014-2017 ] nor with the high and low estimates that implicitly surround it, based on the uncertainty around the additionality assumptions – albeit of course that interviewees and survey respondents have a vested interest in maximising the amount of activity that is deemed attributable to the NZSPG. The underlying assumptions seem reasonable and the error margin should span plausible changes in those assumptions. Sapere’s warnings about time lags and possible survey bias and misinterpretation are well made and sensibly addressed. With regard to the other questions such as whether the subsidy has encouraged production, developed resilient businesses, created New Zealand stories, assisted in show-casing New Zealand to the world, raised exports and so on, the report has addressed them in an appropriate degree of detail which has led to well-argued positions. The more critical comments are contained in the Sense Partners peer review. While describing the Sapere analysis and assumptions (including the discussion of the counterfactual) as comprehensive, robust and soundly supported by the evidence, the Sense Partners criticised the executive summary for being so unequivocal about benefits that the Sapere team was far more uncertain about in the text, and in appendices of the report itself. It described the evidence of causal links between the grants and their net benefits as “weak” – a term it also applied to the analysis of whether the subsidy may (for instance) have “crowded out” alternative economic activity. Which is, finally, another way of saying… if the NZ Screen Production Grant subsidies are to be sustained and/or expanded, this will (ultimately) need to be a political decision – given that “strong” causal links between Subsidy X and Outcome Y cannot be definitively tracked, or quantified. Thus, if the likes of Finance Minister Grant Robertson and Economic Development Minister David Parker do want to perpetuate the film grants scheme, it will have to be via decisions based – like those to do with prisons policy – on the belief that the film subsidies continue to help New Zealand along the path of fostering a modern, value-added economy. If improvements are to be made, these should be in auditing the accuracy of the production spend – did the overseas film studios spend as much as they claim? – and in trying to track how and where the downstream gains accrue, and to whom. There is a small amount of headroom left for raising the production subsidy. Rather than the current nominal 25% (at most) to 75% split, it would still (arguably) be a good net deal for this country at a one third grant to two thirds spending ratio. Alas though, to the sceptics at Treasury and among the like-minded on the ideological right …state subsidies are always a bad, bad thing, no matter what benefits get delivered in their wake. Footnote One: Ghost in The Shell was depicted (in the NZ Herald investigation of Wellywood) as a ‘critical and box office bomb’, with much made of New Zealand taxpayers contributing to the $3 million salary reportedly paid to Scarlett Johansson… IMO, it seems really odd to single out the New Zealand production subsidies as being a significant driver of the salaries paid to Hollywood stars. Moreover, we don’t usually argue against investing in sport altogether, just because the All Blacks or the Silver Ferns happen to lose an occasional game. It is an investment, right? It is not a surefire, ‘every time a critical darling and multiplex smash’ kind of process. We’re supporting an industry, not picking box office winners. In this particular case, Box Office Mojo says that Ghost in The Shell grossed nearly $US170 million worldwide (plus DVD/Blu Ray sales of $13 million) against reported production costs of $US110 million. All up the studio loss incurred was likely to be $US60 million, when marketing costs were included. Depending on how the deals in foreign markets were structured, we still have no way of knowing the net loss that Paramount incurred. There have been suggestions (on Deadline Hollywood) that Paramount might have under-reported its actual production spend. More to the point though, was Ghost In The Shell really a “bomb” for New Zealand in general, and for Wellington in particular? Hardly. Albeit these figures have been supplied by Paramount, but the studio says it spent $NZ170 million in this country, with $NZ85.2 million of that in Wellington during production, including on art and costume materials, accommodation and vehicles – while also employing 718 Kiwis on the production crew (out of a total crew of 777) 30 Kiwi actors, and 315 Wellingtonians as extras. True, such expenditures are cyclical, in that they’re project-dependent. Yet at the peak of the film-making cycles, about 2,000 people can be found working out of the Miramar complex, paying tax and spending money in the suburban and city economies. If removed entirely – should major international film productions decide to up stakes for good – the local economy would certainly feel the pain, from the loss of retail and services spending. Footnote Two: If that example fuels further indignation at the “Wellington-dominated film industry”… yes, it is true that our only globally competitive film complex is (duh) based in Miramar. Even so, the same kind of grants are available – and have been paid – to studios in Auckland, where (for example) subsidy-qualifying film and television productions ( eg the Morphin Power Rangers movie) have been shot. Auckland has every incentive to do better. Footnote Three: On a lighter note… some of the arguments over ‘opportunity cost’ offer a blackly humorous example of theory vanishing up its own fundament. As mentioned, “opportunity cost” is a term for the counterfactual ie, if workers and resources were deployed elsewhere in the economy. To its credit (and via the past 20 years of early tax breaks and current rebates) New Zealand has managed to build a high tech, IP driven digital powerhouse to counter (a) our decades of reliance on exporting low-added value logs and milk powder, and (b) our reliance on tourists coming here to look at our low added value natural scenery. IMO, the film industry‘s success has been a good thing, not a sin. Why then put this accomplishment at risk? After all… in contrast to foreign investment and foreign ownership rules that see most of the related profits heading back offshore, we have succeeded in capturing many of the benefits from film subsidies right here, onshore. On most measures, it is working well for both sides of the transaction. Why bring it to an end? 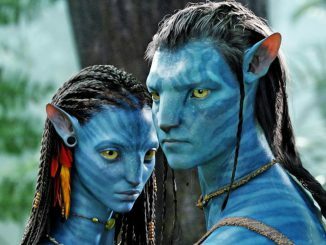 The risk posed by the Avatar sequels seems to be purely a political one – bad headlines in the NZ Herald about the size of the subsidy! – rather than on a rational assessment of the economic risk, and net gains. Crampton said the Sapere report – in concluding the subsidies generated more than $2 of economic benefit for every taxpayer dollar spent – was flawed in concluding most of the workforce would be left stranded out of work or in lower-paying jobs. “While that may be true during recessions, it is not true either on average or currently. And it is especially dubious where most of the film activity occurs in Wellington and Auckland,” Crampton said.